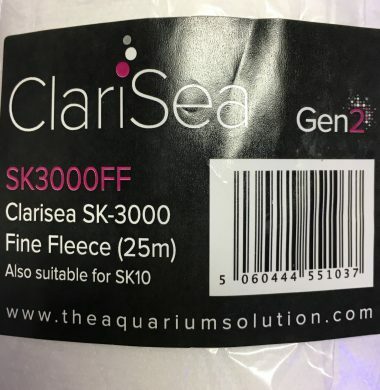 ClariSea Fleece Filter Mechanical particle filtration system – achieves unparalleled water clarity. ClariSea removes suspended particles such as Micro algae, detritus, food, organic waste etc from the water column. Suitable for use In: sumped Marine Aquariums,Freshwater Aquariums, Fish-breeding systems and coral propagation systems. 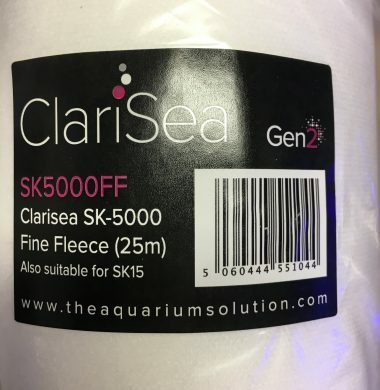 The ClariSea SK-5000 Automatic Fleece Filter Mechanical particle filtration system achieves unparalleled water clarity. 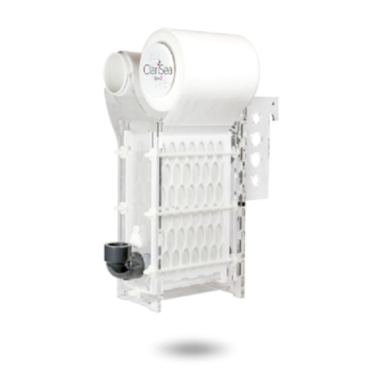 The ClariSea SK-5000 Automatic removes suspended particles and organic waste from the water column. Suitable for use in sumped Marine Aquariums, Freshwater Aquariums, Fish-breeding systems and coral propagation systems. 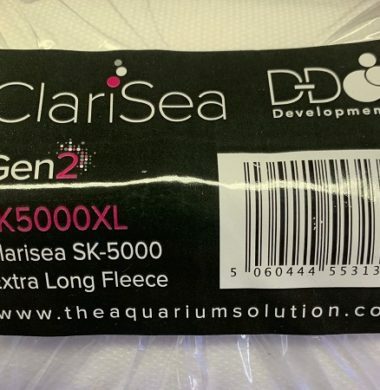 Replacement XL Fleece Roll for the SK-5000.